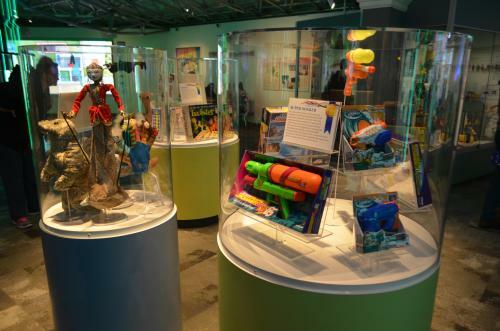 Each November The Strong – National Museum of Play selects a handful of toys to enshrine in the National Toy Hall of Fame. Throughout the year, visitors are encouraged to nominate their favorite playthings, and experts select the inductees from the nominations. This year the National Toy Hall of Fame selected puppet, Twister, and Super Soaker from group of finalists, and spent an entire weekend celebrating the newest honorees. I visited with my family to check out the Toy Hall of Fame additions, and was pleasantly surprised to find my teenager still loved The Strong as much as ever. 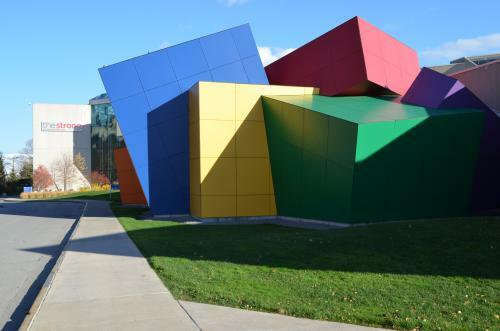 The National Museum of Play holds a special place in our family’s hearts. Before we lived in Rochester, The Strong was our “rainy day” refuge during the annual summertime family vacation at Keuka Lake. 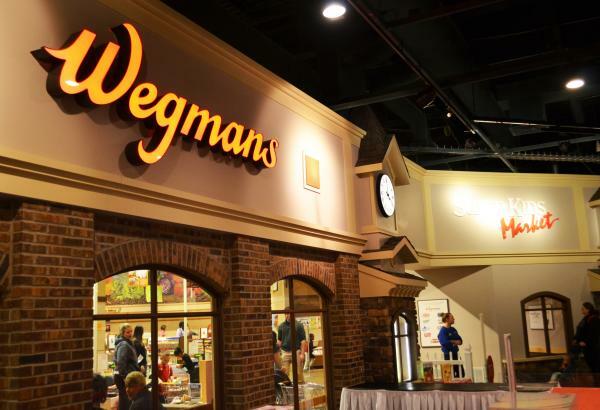 Our daughters were preschoolers at the time, and we couldn’t pry them out of the Wegmans Super Kids Market. When combined with the carousel, train, Field of Play, Reading Adventureland’s trek down the “Yellow Brick Road” through different storybook genres, and meeting characters on Sesame Street and The Berenstain Bears: Down a Sunny Dirt Road, our trip to The Strong was as entertaining as any theme park and they never even missed one of their vacation days at the lake. Once we decided to move to Rochester in 2005, we presented it to our kids as, “remember visiting that really cool, fun museum? How would you like to live in the town where we could go and play, every day?” Our daughters were so excited to live in The Strong’s hometown that it took away part of the sting of moving. The Strong is the only museum in the world devoted solely to play, and home to a number of different dynamic, interactive exhibits. It seems like they are always adding something new. When we went back for Toy Hall of Fame Induction weekend, it had been years since my daughter had stepped inside the Caterpillar Atrium. She was filled with nostalgia visiting her ole’ standby favorites, but couldn’t wait to check out newer exhibits such as American Comic Book Heroes and the video game collection. Mom and I showed her Pong and the games we grew up with in the “Golden Age” – Space Invaders, Pac Man, Ms. Pac Man, and Donkey Kong, but she was drawn to the blinking lights, bells, and buzzers emitting from the recreated working video arcade. Ah yes, Dad had raised her well. 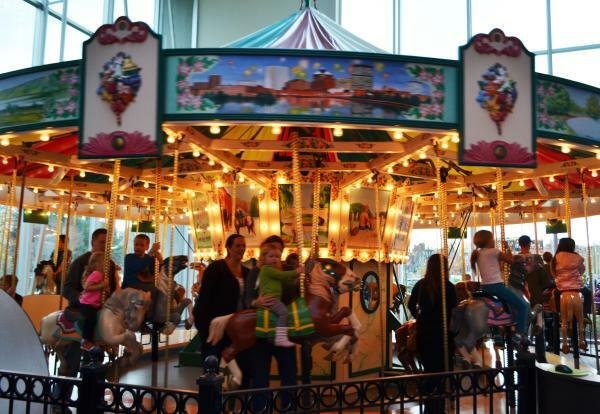 The Strong’s consistently recognized on “best-of” lists not just as a top family friendly destination or children’s museum, but as being one of the top museums in the country, period. USA Today listed The Strong as one of the 10 best museums alongside the Smithsonian, American Museum of Natural History, Art Institute of Chicago, among others – some prestigious company. 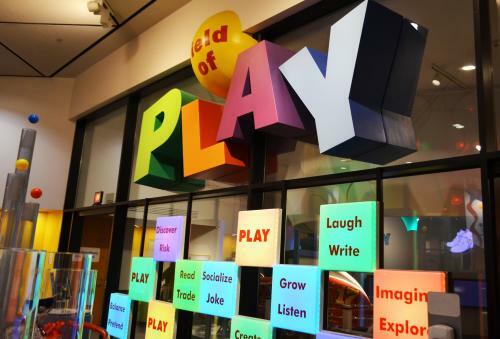 What sets The Strong apart is that it’s not a children’s museum, per se, but a museum recognizing the important role of play in learning and human development, and how play reflects the cultural norms of the time. “Almost all creativity involves purposeful play,” said psychologist Abraham Maslow, and in this era of diminishing free play it’s great to have an institution focused on highlighting the importance of play. 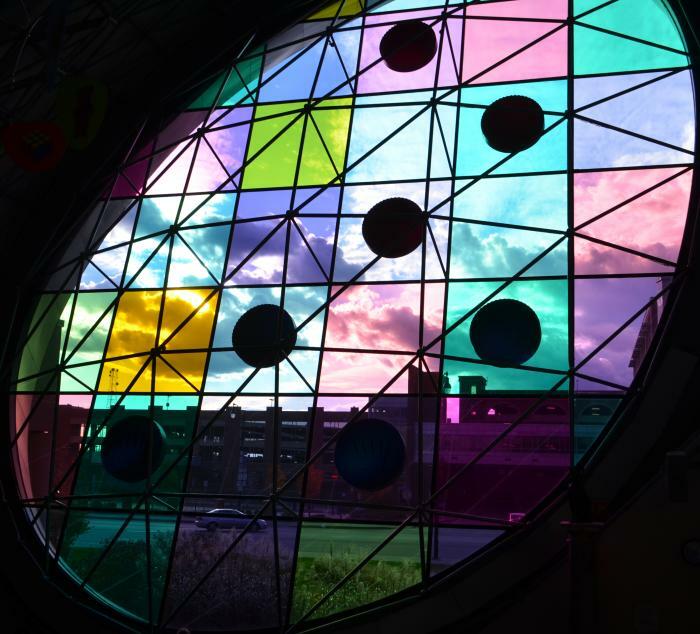 We’re lucky to have such a fantastic resource here in Rochester – not just for the kids, but for the entire community.